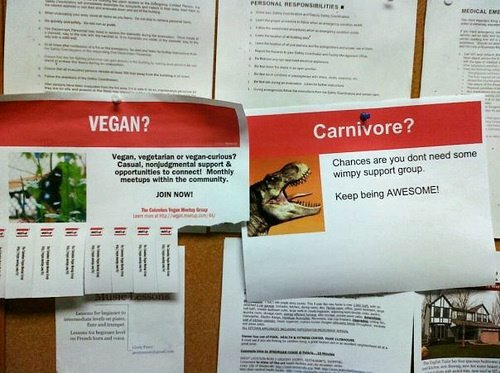 Sorry, vegans. I love you, really, even if I don’t understand why you think soya milk is edible. If God wanted us to be vegetarian, he wouldn't have made animals out of meat. LOVE it! 😀 Thank you. Yay. Alex, yes I agree. Meat free Monday is a great idea. I don't eat meat every single day, anyway. That's just an ambition for now.